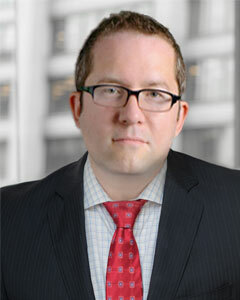 Anthony J. Longo is a partner at Brennan Burtker LLC and a member of its Executive Committee. Mr. Longo focuses his practice in defense of medical and construction professionals. He is often asked to handle cases presenting unique legal issues. Mr. Longo was a Dean’s Scholar graduate of The John Marshall Law School, where he was a published member and the Managing Editor of Law Review. He was research assistant to Professor Hammond, and judicial extern for both Circuit Court Judge Julia Nowicki, and United States District Court Judge Samuel Der-Yeghiayan. In addition to a monthly column in Chicago Daily Law Bulletin, “The Procedural Thicket”, Mr. Longo has had several contributions to legal literature. Mr. Longo is currently Adjunct Professor of Law at The John Marshall Law School where he teaches legal research and writing each semester. He was also appointed Adjunct Professor at the Illinois College of Optometry to design and teach a new course, Illinois Optometry Law. Every year since 2010, Mr. Longo has been recognized by Super Lawyers as a “Rising Star” in the areas of civil litigation defense, professional liability defense, and appellate. He has also been named a 2015 Emerging Lawyer by Leading Lawyers Network.